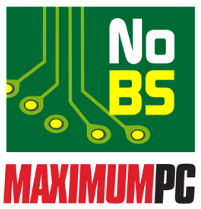 Maximum PC No BS Podcast http://feeds.feedburner.com/maximumpc/1337 If you like Windows & PC hardware, this podcast is for you. A favorite of mine, listening to the Maximum PC podcast is like hanging out with your friends. Some people ramble, others go off on tangents, some talk about stuff they did the other day, others talk about the state of technology. They cover stuff that was reviewed in the magazine but more importantly they let Senior Editor Gordon Mah Ung rant – and rant he does – about basically anything and everything. Listening to Gordon rant is like having the little voice in the back of your head have a turn at the microphone. 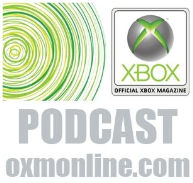 KOXM Radio – The Official Xbox Magazine Podcast http://oxmpodcast.podbean.com/feed/ Ryan McCaffrey, Official Xbox Magazine editor runs this podcast and talks about Xbox gaming from the magazine’s perspective… well, sometimes. See, I keep going back and forth on this podcast because the host sometimes talks minimally about Xbox instead going off on some story about his iPhone or something completely unrelated to the podcast topic, otherwise wasting my time with things I’m not even remotely interested in. Hey Ryan? Reign it in or get a co-host to help you reign it in, like Paul Thurrott does with Leo Laporte. Windows Weekly with Paul Thurrott http://www.leoville.tv/podcasts/ww.xml And then there’s the big daddy of podcasting. Paul Thurrott’s Windows Weekly podcast along with Leo Laporte, TWIT network founder & CEO runs the most successful tech podcast for Microsoft technology in the world. Reviewing all things Windows and a lot of things “Microsoft”, Paul uses his decades of experience to weigh in on the importance of some things and the hype of others. Windows Phone 7 users will want to definitely subscribe as Paul’s a big fan of WP7. 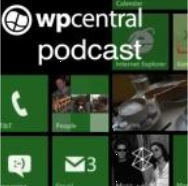 WPCentral Podcast http://feeds2.feedburner.com/WmexpertsPodcast The creation of Daniel Rubino, aka Malatesta, the WPCentral podcast was always informative and a very interesting 3rd party look at Windows Phone. Malatesta tends to break news stories quicker than the other phone sites because he focuses exclusively on the Windows Phone platform. Recently, they started podcasting more frequently and regularly… I’m sure the Nokia launch had something to do with that along with the fact that Windows Phone cracked 3.6% marketshare… and rising. 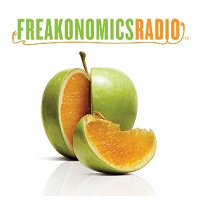 Freakonomics Radio http://feeds.feedburner.com/freakonomicsradio This isn’t obviously a ‘tech’ podcast however I think it appeals to the same audience in many ways because it’s thoughtful and insightful. Stephen Dubner carries on the Freakonomics torch past the books he co-wrote with Steven Levitt, “Freakonomics” and “SuperFreakonomics”. Every topic discussed on the show is backed by economic statistics, direct interviews, and reveals unlikely linkages between things like the motivations of public school teachers & Japanese sumo wrestlers. Easy to listen to and entertaining to think about, this is one of my favorites. 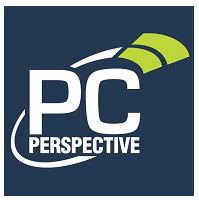 PC Perspective http://www.pcper.com/rss/podcasts.rss Ryan Shrout, renown PC hardware expert and master of gaming rig components, continues to run his long-time podcast on the latest hardware, the most recently published benchmark tests, and the plans that hardware manufacturers have for evolving their product lines. Always on the spot for improvements to components from Intel, AMD, NVIDIA, and other major label manufacturers, this is an IT person’s must listen to podcasts. Note that this is a different podcast that what is published by TWiT’s podcast network run by Leo Laporte. Ryan does a podcast called This Week in Tech Computer Hardware (TWiTCH) on that network that I also subscribe to but I think PC Perspective is better in some respects. What The Tech http://feeds.feedburner.com/Whatthetechgfq Andrew & Paul Thurrott talk openly about all thing techie, with a major on Microsoft related subjects being that Paul’s an expert on the subject. This is a more free form discussion compared to the Windows Weekly podcast Paul does with Leo Laporte and can be more diverse and thus sometimes more interesting. I listen to it when I can but I usually start with Windows Weekly because they talk about more timely matters but on the other hand, I don’t find myself facepalming like I do when listening to Leo’s “WTF?” type questions so often times, What The Tech is less aggravating to listen to.